HAS YOUR BMW BEEN LACKING IN PERFORMANCE? Maybe you’re considering installing a Supercharger. But what does that really mean for your car? A supercharger is an air compressor that boosts your car’s power by increasing the pressure or density of air supplied to the engine driven by the crankshaft. With superchargers there are no delays as your car runs directly on engine power, it also means it begins working as you start your car. Using a spinning impeller, centrifugal superchargers use natural centrifugal energy to compress air forcing additional oxygen to your car engine. Based on this, both mechanical (power consumption) and thermal (heating of the compressed air) contribute to its efficiency. With an increased airflow, the engine burns more fuel, resulting in increased engine power output. With centrifugal superchargers you can even interchange impeller sizes and change the drive pulley to customise the boost curve to meet your needs. Centrifugal superchargers are typically set to generate their peak boost at or near engine redline, developing more of their boost at higher rpm and less boost on the lower end of the rpm range. Screw-types, also called positive displacement units, are a bit different since the air is compressed by a twin-screw mechanism geared off the front pulley moving between the two screw blades. With this supercharger, a fixed amount of air is moved per revolution creating a good compression per rpm causing an increase in from power, to idle time to anywhere else on the power range. Though it takes up more space than a centrifugal supercharger, if you want that extra boost off the line, screw-types are your best option. For both types, because they are not lubricated by engine oil, they do not require any special shutdown procedure. However, it requires sufficient warm-up time since efficiency is maximized at normal operating temperatures. This also means that the engine is privy to higher pressures and temperatures, affecting engine life expectancy. Additionally, with heat transfer, the centrifugal supercharger produces minimal heat transfer due to its placement in a fresh air stream. The Screw-Type on the other hand, is typically mounted on top of an engine and so scan heat soak quickly from engine top mounting decreasing efficiency. If you use your BMW for street racing, air-to-air intercooling is imperative for superior performance as opposed to air-to-water intercoolers. This factor narrows down what kind of Supercharger your BMW should be equipped with since Screw-Types are near incapable of using this air-to-air design. In this case, we would advise installation of the Centrifugal Supercharger due to the air-to-air intercooler system resulting in higher effectiveness. 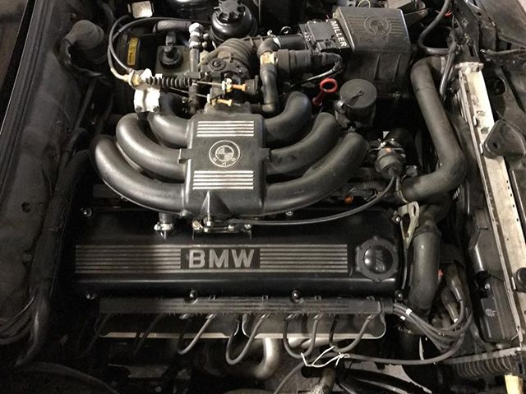 Lake Wylie Euro works closely with you to ensure that your BMW is fitted with a supercharger that allows its engine to operate at maximum performance at all times. We’re adequately equipped to recommend, install or propose the most efficient and effective ways to give your BMW that extra boost it needs.